At first glance, the world of the twenty-first century and the world of our first president could hardly be more different. Modern life is filled with distractions from technology, hectic schedules, and multitasking. 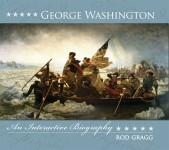 However, George Washington lived through a time of great turmoil. As a general and politician, he was subject to stressors to an extreme that most of us will never know. Graciousness and dignity, however, were his hallmarks, and he lived his life by the code defined in The Rules of Civility. People make great efforts to be civil. While compassion and concern for the well-being of others can be lost beneath the shuffle of our daily lives, it still exists. This practical and elegant guide offers valuable lessons for inner tranquility, such as the difference between working hard and always being in a hurry, as well as a guide for social situations, including the importance of quality time with others, table manners, romantic propriety, and congenial communication. 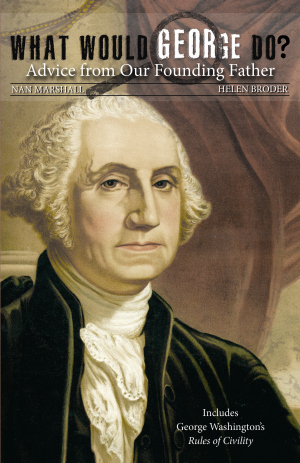 While technology has moved forward, the question “What would George Washington do?” has become more relevant than ever. Nan Marshall and Helen Broder are a formidable mother-daughter pair of steel magnolias. Marshall earned a degree in history from Vassar College and has since had a multifaceted career. A teacher for fifteen years, Marshall has been a regular contributor to business and family publications in coastal South Carolina and Georgia, focusing on social change and the people who lead it. Marshall lives with her husband in Savannah, Georgia. Broder graduated from Georgetown University with several honors, including the prestigious Reverent Joseph S. Sebes, S. J. Award. She is also an alumna of the Protocol School of Washington®. Broder represents several well-known Olympians, authors, and professional speakers. She resides with her husband and twin sons in northern Virginia.